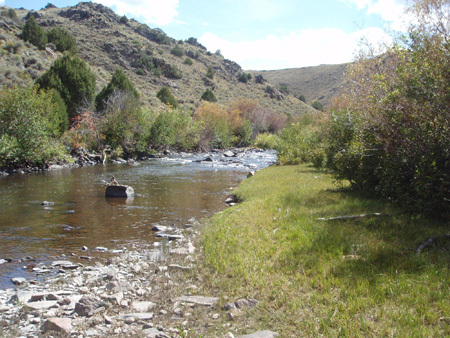 If you want to enjoy fishing at its best, let us guide you into the wilderness. 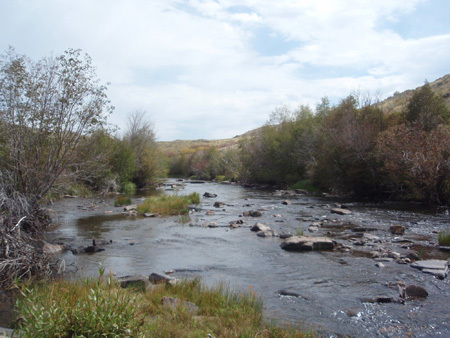 One & Two day trips by 4X4, horse or foot take you to great rivers and streams. 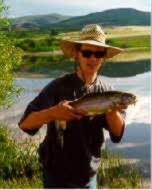 Private fishing on streams and lakes is also available. 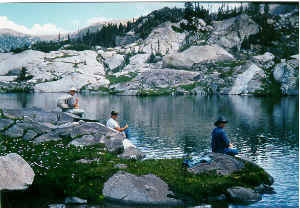 To enjoy mountain lakes as well as rivers and streams, let's plan a pack trip. A pair of North Platte River beauties. 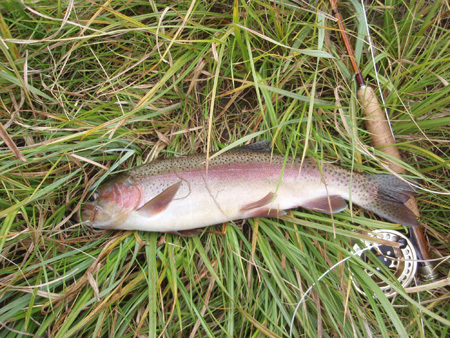 We encourage catch and release fishing. 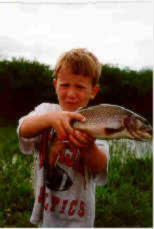 These packages include a guide, 4 x 4 vehicle (usally a pick-up truck), meals, soft drinks, sleeping accomodations at the Rustic Mountain Lodge, horses if needed and a customized trip to fish everything from private water to wilderness lakes and rivers. 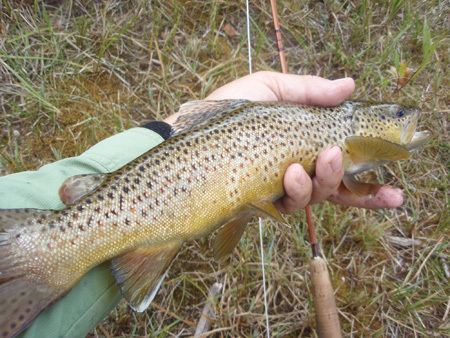 Fishing private waters requires 24-hour notice.